Bill Shorten says he rejects the fairy tales spun by the vested interests of big business. Photo: Gabriel Oliveira. 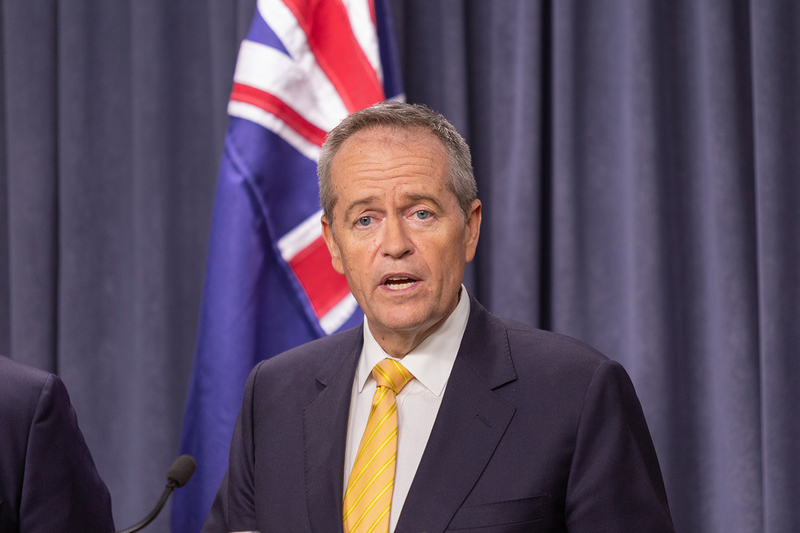 Opposition leader Bill Shorten has dismissed a critique of Labor’s wages policy, describing the Chamber of Commerce and Industry of WA as a trade union for employers and insisting wage increases were sensible. Interesting comment with Bill Shorten stating that corporate profits have jumped 45 per cent (I would like to see the source of that statistic) when small-to-medium businesses are struggling to make a profit at all. There are more small businesses closing than has been the case in years. The biggest challenge in the market is not wages growth but cost of living, and this comes back to Increased council rates, power and water costs – all of which have go up by two-to-four times what actual inflation is. Look at this and the increase to fuel excise snuck through last year – the government is responsible for the majority of these increases. What is needed is a royal commission into the misallocation of ratepayers' and taxpayers' funds and a mandatory policy to increase efficiency in the government and semi-government management. Small business has been one of the fastest to change, to do more with less, and this has been out of necessity. How about this? All councils must deliver a 10 per cent increase in management efficiency and a 5 per cent rate reduction, GST on all utilities water/gas/power and medical and pharmaceutical reduced to 5 per cent to ease the cost to the public, all charities charged 50 per cent of what ever their standard tax would be (instead of free). Anything for free is an extra cost to someone else. People should be encouraged to be self-funded retirees instead of pensioners by providing confidence in the super system instead of changing it. The other challenge is with the ageing population. If you look at the latest Australian Bureau of Statistics data, growth is running around 1.8 per cent, so we are not growing. And when the retirement transition kicks in within the next three to five years will have another challenge placed on active taxpayers unless something is started soon with migration. Great points, Richard. Our political elite (and I use that word advisedly) are out of touch with the people whose interests they are elected to represent.